Yahoo news - BOSTON – Officials said a two-pound, eight-week-old kitten was dropped in a public mailbox in Boston and later found unharmed among envelopes and packages. According to the MSPCA Animal Care and Adoption Center, the kitten they're calling "Postina" likely was stuffed Friday through a small opening of the mailbox and dropped several feet below. A U.S. Postal Service letter carrier discovered Postina on Saturday during a scheduled afternoon pick-up. 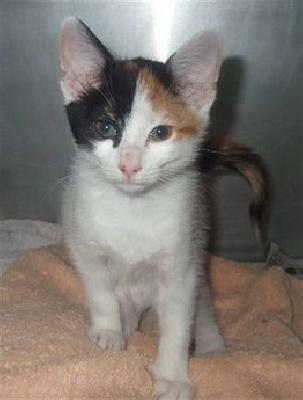 The MSPCA is offering Postina for adoption after several days of nourishment and a round of vaccinations. Animal abandonment in Massachusetts is punishable by up to a $2,500 fine and 5 years in prison. The MSPCA said there has been a 48 percent increase in pet owners citing financial reasons for surrendering their pets.